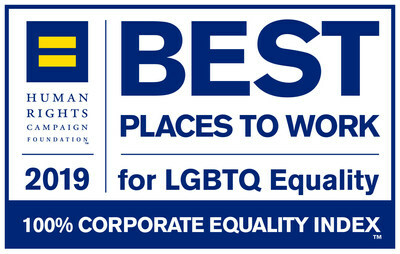 PARSIPPANY, N.J., April 4, 2019 /PRNewswire/ -- Wyndham Hotels & Resorts (NYSE: WH) has been recognized for its culture of inclusion by the Human Rights Campaign on the heels of reinforcing its commitment to workplace fairness for lesbian, gay, bisexual, transgender and queer (LGBTQ) team members. Within the same week of joining the Business Coalition for the Equality Act, Wyndham Hotels & Resorts earned a perfect score of 100 as a Best Place to Work for LGBTQ Equality. Wyndham Hotels & Resorts has been named a 2019 Best Place to Work for LGBTQ Equality with a perfect score of 100 by the Human Rights Campaign. "At Wyndham Hotels & Resorts, we are committed to creating an inclusive work environment where all of our team members can thrive," says Mary Falvey, chief administrative officer, Wyndham Hotels & Resorts. "That's why last week we raised the bar in ensuring workplace fairness by joining the Business Coalition for the Equality Act. Our pledge put an exclamation point on Wyndham Hotels & Resorts' welcoming culture that reflects the diversity of our team members, guests, owners and communities around the world." 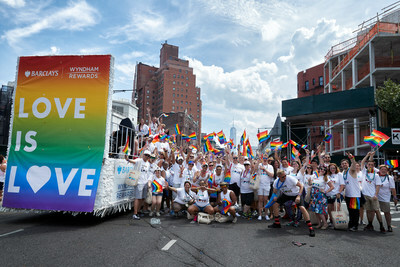 "For more than ten years, Wyndham has been an employer of choice among the LGBTQ community, and one that encourages team members to bring their whole selves to work," said Patricia Lee, executive vice president of Global Learning and Development and chief social responsibility officer, Wyndham Hotels & Resorts. "Our recognition as a Best Place to Work shows that we continue to do the right thing in ensuring the environment we're cultivating is in the spirit of hospitality."